Our product range includes a wide range of on site grinding of turbine shaft, in situ grinding of turbine shaft, inspection of turbine shaft, crack repair turbine casing, turbine shaft polishing and valve tappets. On Site Grinding of turbine is undertaken. 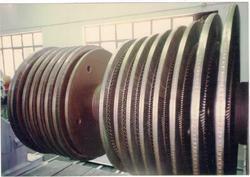 The grinding of turbine shaft is done by portable machine which is taken to the site. The tolerances are maintained of turbine shaft as per the Turboine Shaft manufacturer. Our system holds expertise in providing In situ Grinding of Turbine Shaft. Our system holds expertise in providing Inspection of Turbine Shaft. 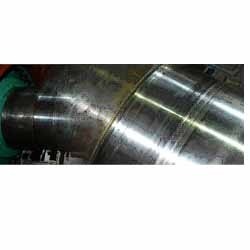 Turbocharger Turbine Casings cracks are successfully repaired by metal stitching and metal locking process. We have an experience over a period of three decades in grinding & polishing of rotor shaft, turbine shaft and alternator shaft. Our qualified engineers deliver services as per international standards. We maintain close tolerance as per the turbine manufactures. Our customers can avail from us Valve Tappets Solution. Mechanical lifters made from Chilled Cast Iron & Alloy Steels, are ensured for best workmanship and perfect blend of metallurgy. Correct hardness, pro file & surface finish are ensured.